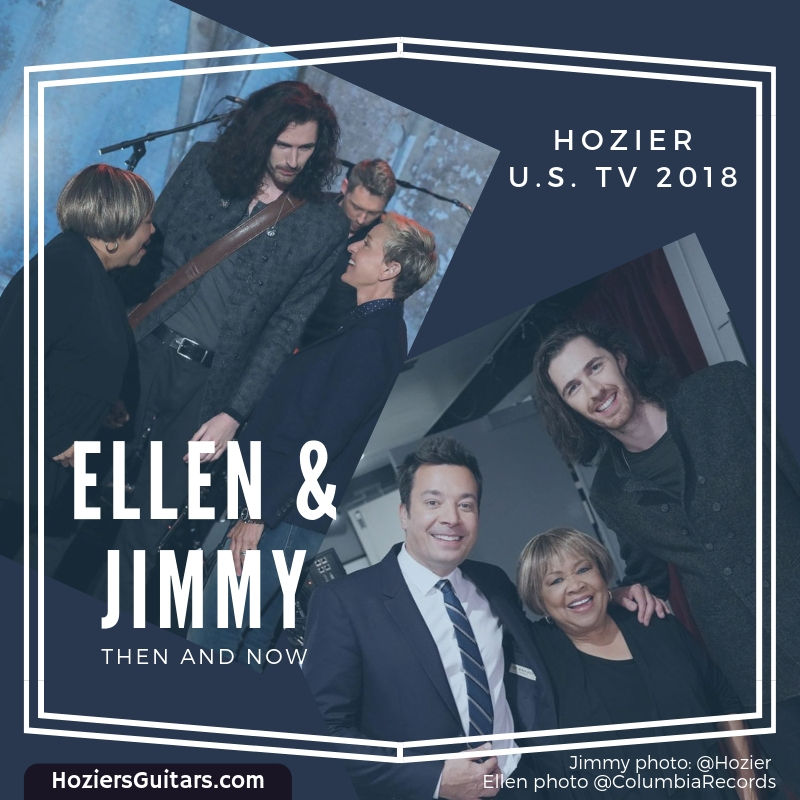 Hozier returned to U.S. TV while on his 2018 North American Tour, appearing on The Ellen Show and The Tonight Show Starring Jimmy Fallon. He’s been a guest multiple times on each, so we thought it called for a look at Ellen & Jimmy: Then and Now. 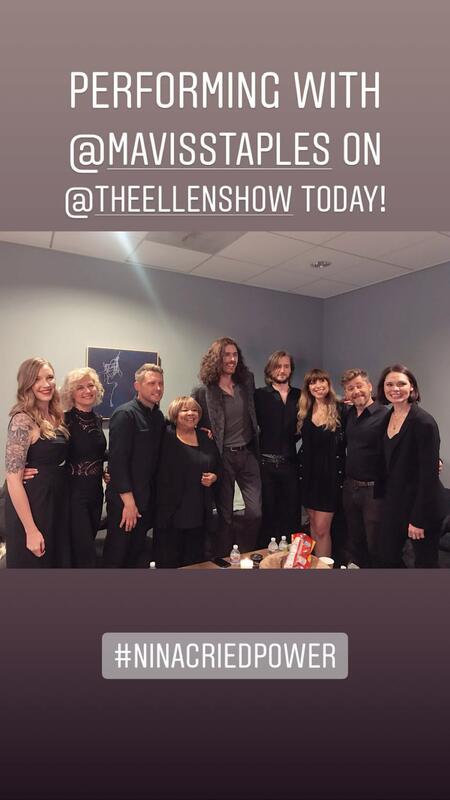 Mavis Staples took a break from touring to perform Nina Cried Power with Hozier on The Ellen Show on Wednesday, 9 October 2018. Hozier and Mavis Staples are an absolute joy to watch together, both on and off the stage. The whole gang backstage on Ellen. Hozier’s second time on US television and his daytime TV debut was on Ellen in May 2014, performing Take Me To Church. Nine months later, in February 2015, Hozier was back on Ellen to perform From Eden. You did it. You were the hoziest. 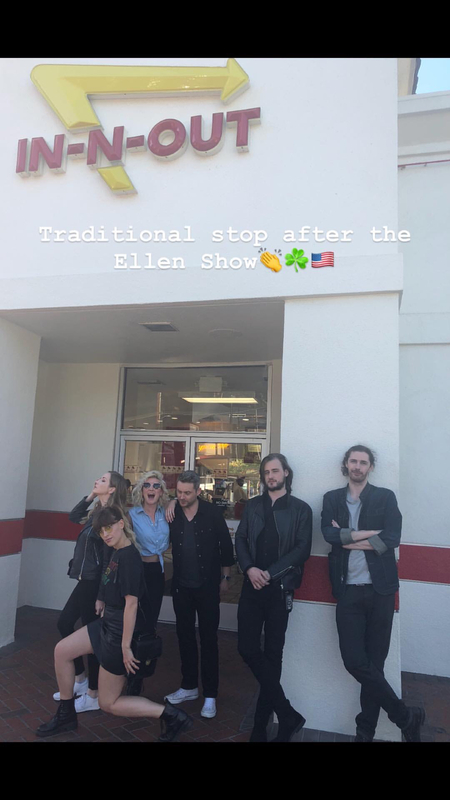 And if you’re on tour with Hozier, a visit to Ellen requires the traditional post-show trip to In-N-Out Burger. 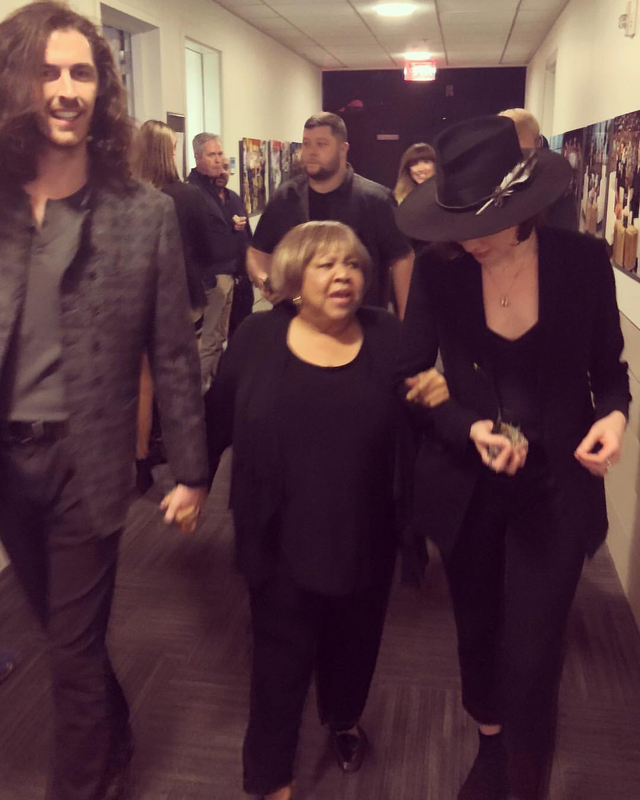 After concluding his 2018 North American tour in Vancouver, Hozier returned to New York to perform Nina Cried Power with Mavis Staples on The Tonight Show. This was Hozier’s third appearance on The Tonight Show Starring Jimmy Fallon. On his first visit in March 2015, he performed Work Song. On his second visit in September 2015, he sang Jackie & Wilson. As part of his first visit to the Tonight Show in March 2015, Hozier and the band performed a backstage acoustic version of Take Me To Church. While waiting to perform, Hozier and Suzanne Santo tinkered with the backstage banjo. 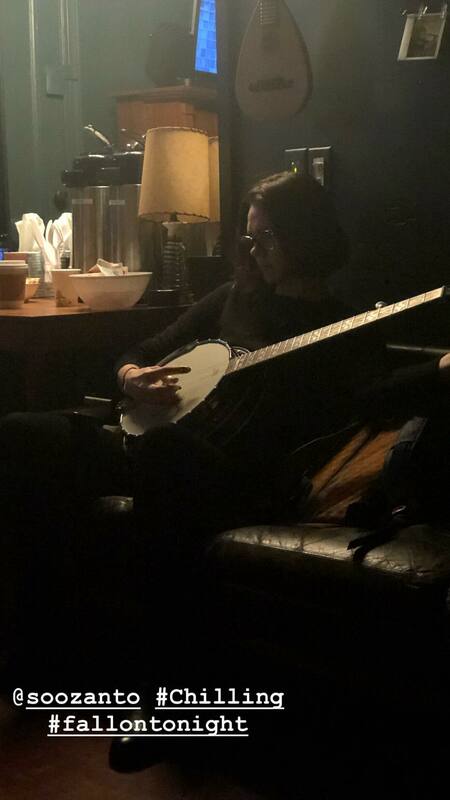 The Fallon banjo first made an appearance in September 2015 when Hozier took over The Tonight Show’s Instagram account for the day. 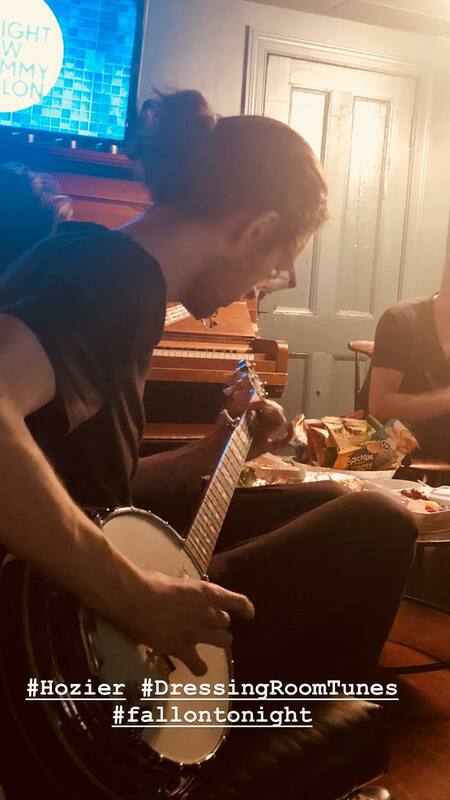 We loved seeing Hozier with Ellen and Jimmy Fallon again and look forward to the next time around… hopefully that banjo will get another session! Featured image: Ellen photo: @ColumbiaRecords; @Jimmy photo: @Hozier; Graphic by Hozier’s Guitars. Featured image: Graphic by Hozier’s Guitars. Tagged Ellen, Ellen Degeneres, Jimmy Fallon, Los Angeles, New York, The Ellen Show, The Tonight Show. Bookmark the permalink.